D-Tech Optoelectronics Inc. designs and manufactures high performance components for optical communication systems. D-Tech, which began as a commercial division within AdTech Optics Inc, was recently spun off as an independent corporation, and is a leader in delivering high performance and cost effective solutions to the telecommunication industry. We specialize in Avalanche Photo Diode (APD), and Positive/Intrinsic/Negative (PIN) components, offered in chip/die form or TO-Can applications. 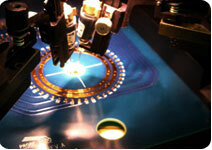 D-Tech also offers Fabry-Perot Laser Diodes (FPLDs) in chip/die form. D-Tech also offers foundry services. 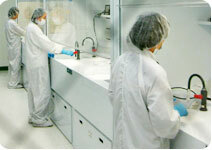 We utilizes a state of the art class 100/1000 clean room in Southern California, which consists of a full production and packaging line.